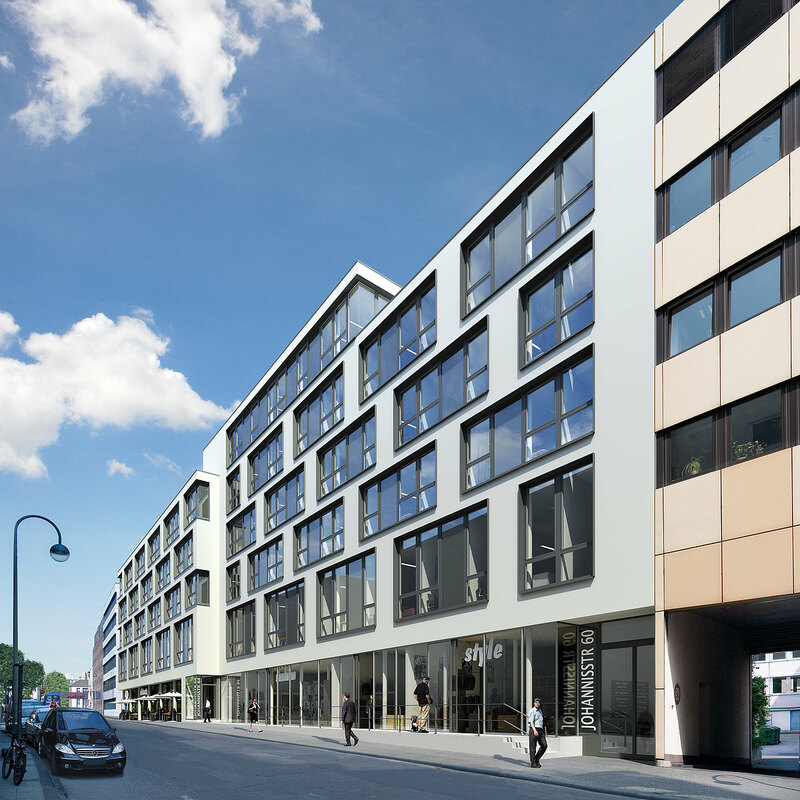 CA Immo has constructed modern new offices at Johannisstrasse 60-64 in the up-and-coming Cologne district of Kunibertsviertel. Just one minute from the city’s main station, this is an ideal location for companies that value ease of access while aiming for a high profile, efficiency and the capacity to blend into their urban surroundings. The structure on Johannisstrasse has two sections and a loosely modern facade that presents a light, airy feel – one that is replicated within the offices. Whether a company rents 1,300 sqm of interconnected floor space spanning both sections or a smaller area of 200 sqm, the building at Johannisstrasse 60-64 promises the best possible distribution of space and clear functionality on the inside. Sufficient parking space is also provided for clients and employees. Do you have any questions, or need more information on Johannisstrasse 60-64 in Cologne? Simply contact us!